WASHINGTON – The National Governors Association announced on March 7 that New Jersey is among six states selected to participate in a workshop to develop strategic action plans for implementation during public health emergencies. TRENTON, NJ – Governor Phil Murphy announced on February 20 that his administration is making a coordinated effort with State law enforcement agencies and the New Jersey Legislature to improve school safety in the State in the wake of the Parkland, Florida school shooting. Governor Phil Murphy today announced that New Jersey is partnering with the SANS Institute in an initiative that provides high school girls with an opportunity to learn cybersecurity skills, discover their talents, and explore what a career in the field entails. High school girls in grades 9 through 12 or the home-school equivalent are invited to participate in the GirlsGoCyberStart challenge in which teams of up to four students will compete against others throughout New Jersey and the United States. Trenton, NJ - Fulfilling his commitment to protect all New Jersey residents from both foreign and domestic threats, Governor Chris Christie today made $1 million in grants available for non-profit organizations and religious institutions determined to be at high risk of terrorist attack in Atlantic, Burlington, Camden, Cape May, Cumberland, Gloucester, Mercer, Salem, and Warren counties. Governor Chris Christie today joined national and local officials, advocates and community leaders at the Kaplen JCC to show solidarity with New Jersey’s Jewish community following a recent increase in threats made against Jewish Community Centers throughout New Jersey and the country. Under the direction of Governor Christie, in coordination with Attorney General Christopher S. Porrino, the New Jersey State Police and the Office of Homeland Security and Preparedness (OHSP) have increased patrol efforts at houses of worship, faith-based institutions, community centers and cemeteries throughout the state. On behalf of our State, I would like to acknowledge and offer sympathies to the families of the 749 New Jersey residents who lost their lives on September 11, 2001. This number represents nearly one-quarter of all those who perished 15 years ago. WEST TRENTON, NJ – Director Chris Rodriguez today announced Mike Geraghty as the first Director of the New Jersey Cybersecurity and Communications Integration Cell (NJCCIC) located at the Regional Operations Intelligence Center. TRENTON, NJ – The Christie Administration announced today that New Jersey’s Office of Homeland Security and Preparedness (NJOHSP) has been awarded over $4.2 million for nonprofit organizations under the Jersey City/Newark Urban Area Security Initiative (UASI) Nonprofit Security Grant Program (NSGP), a 214-percent increase from 2015, and the second-highest total in the nation. TRENTON, NJ – Governor Chris Christie today established the position of Chief Technology Officer by appointing David Weinstein as the State’s first ever CTO. NEW BRUNSWICK, NJ – Terrorism and intelligence experts from across the Mid-Atlantic region came together for the Regional Domestic Terrorism Conference to discuss how law enforcement and homeland security professionals may counter the current threat of domestic terrorism. 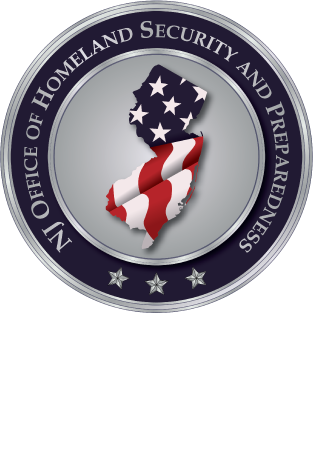 PRINCETON, NJ — New Jersey’s Office of Homeland Security and Preparedness (NJOHSP) will bring together federal, state, and local law enforcement officers, government officials, and private-sector partners and provide a forum to address the most pressing issues that continue to test our State and country. WEST TRENTON, NJ – The New Jersey Cybersecurity and Communications Integration Cell (NJCCIC) and the National Healthcare Information Sharing and Analysis Center (NH-ISAC) announced today a partnership to enhance cybersecurity information sharing on behalf of New Jersey’s healthcare providers. PATERSON, NJ – As part of the Christie Administration's fifth annual Season of Service, Director of Intelligence Rosemary Martorana and Director of Cybersecurity Dave Weinstein of the New Jersey Office of Homeland Security and Preparedness visited Oasis – A Haven for Women and Children in Paterson, where they served hot meals during the organization’s lunch service. TINTON FALLS, NJ – As part of the Christie Administration's fifth annual Season of Service, the Analysis Bureau of the New Jersey Office of Homeland Security and Preparedness visited the Holiday Express Warehouse in Tinton Falls, New Jersey, to assemble gift bags for a local school and Lunch Break, a food pantry, soup kitchen, and social services provider in Red Bank.